Tip: Department store cosmetic counters and mid-high end brand retailers - like Sephora - will often provide samples if you ask for them. Brands that sell trial/travel sizes or "starter kits": Paula's Choice (the only brand I've found that sells proper 1 use samples), MUAC (peels and trial sizes), Garden of Wisdom (trial sizes), Dermalogica, Murad (at Sephora), Peter Thomas Roth (at Sephora), Mario Badescu, Devita, Philosophy, Aveda, Proactiv, and Clinique. If an AHA or BHA isn't giving you ideal results after a month or so, it's probably time to move on to something new. Keep in mind, the active ingredient may not be the issue - you may just need a different formulation. Tip: Sephora and CVS accept returns on opened/used cosmetics. Brands that offer a 30 day (or more) money back guarantee: Paula's Choice, Proactiv, Perricone MD, Murad, Kiehls, Clarisonic, StriVectin, and Juice Beauty. So long as your skin agrees with the product, chemical exfoliants tend to result nooice improvements in skin texture in the beginning. This is the "honeymoon" period. I'm sorry to tell you that your skin will not continue to improve at this pace and become a poreless marshmallow. Tip: Skin tends to look better in the morning because skin tends to be puffier in the morning, thereby "hiding" the imperfections. Wait at least an hour after you wake up to gauge your progress. After these improvements "plateau" it's important to continue using the product, otherwise you might see your thick, flakey, spotted, witch skin come back. Tip: Once an exfoliant is working well, you may find that backing off of the application frequency is fine. For example, if you were applying twice a day, after awhile, you may find you only need to apply once a day to maintain it. Everyone's skin is different. Be wary of the term "chemical peel." Some everyday type exfoliants are falsely marketed as a peel despite their concentration. An AHA "peel" is in the 20-30% to 70% range, while a BHA "peel" is typically between 20% and 30%. It's always safest to have a professional or MD take care of peels, especially the really potent ones and especially if you've never done it before. Even a non-peel chemical exfoliant can be problematic for certain skin. If an AHA or BHA makes your skin red or inflamed, you're probably using it too frequently or using a too-high concentration. Tip: If your skin is irritated, step away from the exfoliant. Step towards the moisturizer. 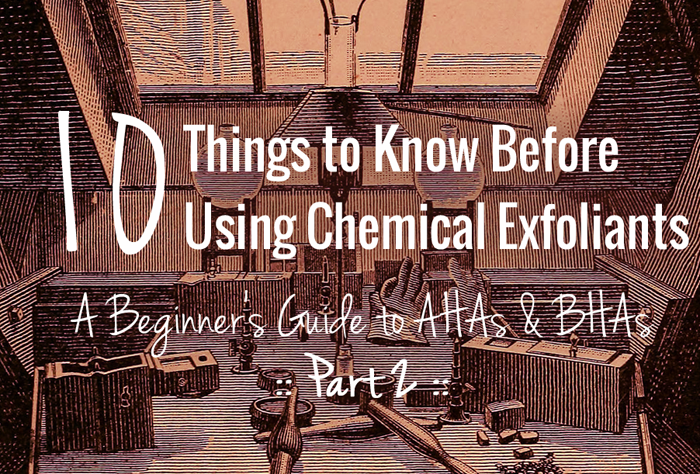 If your skin is really messed up and/or painful after AHA or BHA use, it might be a serious chemical burn or an allergic reaction. Tip: Step towards the doctor. In fact, your skin shouldn't really burn or sting after at-home exfoliant use. Keep an eye on intense tingling because that particular variety might be too strong for your skin. Tip: Apply the exfoliant 10 minutes after cleansing to cut down on irritation. If your skin is burning, rinse it off. Both AHAs and BHAs can improve the effectiveness of other skincare products because they "clear the way" for additional ingredients to get in there and do their thing. As a result, chemical exfoliants should be applied after cleansing, but before the application of serums, lotions, or acne spot treatments. Mild, non-alcohol toners can be applied before an exfoliant, post cleansing. Tip: Give AHA/BHA exfoliants 20-30 minutes to absorb before applying anything else. Chemical exfoliants dissolve the dead skin that's normally on the face, exposing that fresh new skin to the sun a bit more than it normally (as compared to that still dead-skin hide we normally have). Regardless of what you might read elsewhere, this includes both AHA & BHAs because both exfoliate the surface of the skin. It is recommended to always wear sun protection during the day, especially if you're using an exfoliant. Tip: Exfoliants, on their own, are not phototoxic. This doesn't mean that a phototoxic ingredient is not in the product you're using, however. When looking for a good exfoliant, avoid the following ingredients: citrus essential oils (lemon, orange, lime, grapefruit, bergamont, etc), ginger, cumin. Retinoids can make your skin sensitive to the sun in the same way chemical exfoliants do, and certain medications are phototoxic, so be careful if you're using them in conjunction with an exfoliant. I know that the thought of applying SPF to acne prone skin is scary, but it's really important to do so you don't permanently damage your skin with the fire of the sun. I myself opt for hats and hermit-like behavior unless I know I'm going to be outside all afternoon*. I cannot recommend this reckless behavior to others, especially for the fair skinned among you and especially if you're doing a high potency peel. I'm a terrible role model. *I use Kinesys sunscreen on my face and body. It doesn't break me out, but it is quite greasy, so I usually reserve it for lake days and outdoor calisthenics. Raise your left hock. Aerate! Part 3: Do Natural AHA and BHA Alternatives Work? Thanks for a really great post! This is super informative and helpful, and it was so great of you to take the time to gather/organize/write up all of these helpful facts and tips! If you've used both on their own without issue, you probably aren't going to have a problem using them together, mostly because salicylic face wash tends to be pretty mild; it's on your skin for a short period of time, so the salicylic acid is probably not doing much. If you do experience irritation when using both, try a milder face wash.
hi, do you think I can skip my moisturizer after applying my aha & bha at night? I have very oily skin and live in humid country. The products I use at night are : low ph cleanser, ph adjusting toner, bha liquid and aha liquid. The aha & bha liquid contains moisturizing properties like sodium hyaluronate, and they don't irritate my skin. My skin condition is definitely improving since I used them, but I still get a little amount of blackheads and pimples here and there. I do usually wait for 20-30 minutes before applying my gel moisturizer though. And I think after I applied my aha & bha, my skin feel moisturized enough and doesn't feel dry. I know that a moisturizer is a must, but given my skin conditions, do you think I can just skip it? Here's what I'd do: Try it without a moisturizer for a few weeks and see how it looks, then try it with a moisturizer for a few weeks to see if it's any better. I have oily skin as well, and it took me a very long time (too long) to figure out that I cannot skip moisturizer. What I thought was acne was actually irritation from dryness. Great blog post! I love your style of organising and explaining information. It was interesting to read that AHA and BHA can cause purging and that perhaps one could have a reaction to the formulation of a product and not necessarily the active ingredient. I've been using Skin Doctors, gamma hydroxy cream for years and I don't think I would ever be without it. 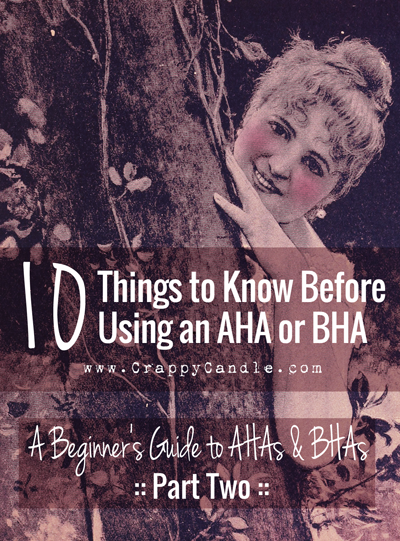 It contains both AHA and BHA. I saw tons of positive reviews of the Cosrx products on YouTube and blogs so I bought the BHA Blackhead Power liquid and the AHA 7. The Skin Doctors cream is expensive and if I could switch to using Cosrx I would save on money, I thought. Around the same time I received those two products I also started using Vit. C serum ( C 21.5) Right or wrong, I started using all three products all at once one after the other waiting 20 min between products and so on, but my skin did not like them. I started getting a lot of breakouts-small, big, medium size ones. It was shocking and painful. Perhaps the skin was purging. But I didn't want it. Because after the breakouts I would have to deal with the scars which are so hard to treat. After a week, I stopped all three products and returned the Vit. C serum, but couldn't return the Cosrx products. I wonder if others have had a similar experience? Because I was used to AHA and BHA products, I was very surprised to get breakouts from using the Cosrx products. I wonder if the Skin Doctors cream has only a small percentage of AHA and BHA and then perhaps the Cosrx products were too strong for me? I still have the Cosrx products but until I understand why my skin did not like them, I am afraid to start using them again. Please advise. Hi.. I think you need to read in the packaging before using the peoduct. I also use Cosrx and checked the box immediately. It clearly says not to use the products all together. Especially serum with retinol, vit C and A. And not to use them everyday but only 2-3 times a week. You may use a sleeping mask after the exfoliator so your skin will relax. I hope this helps and not causing you any breakouts in the future. Thank you for your kind reply Amylia Wikasa. I started using the Cosrx products again, both the BHA and the AHA. I have had no breakouts as a result of using the two products because I have added one more product to my skin care routine and that is The Body shop tea tree oil solution. Back in February I wrote on my blog a post on how Cosrx products did not agree with me, and then just a few weeks ago I wrote another post about returning to Cosrx and this time not getting any breakouts. I think that in my case, my skin needs pore cleansing ( with BHAs), dead skin cells removing ( with AHAs), removing of acne bacteria ( with Tea tree oil) and moisturization, anti-aging etc. So I wonder if the purging of the skin which follows sometimes when using BHAs and AHAs can be prevented by also using ingredients such as Tea tree oil which fight the acne bacteria. It works for me :-) I hope this helps someone. This post is so perfectly relevant for me right now! I recently (about 2 weeks ago) purchased a 14 treatment pack of Dr. Dennis Gross Alpha-Beta Peel Extra Strength wipes. I have generally sensitive skin (basically eastern european dry red undertone lol) particularly during the winter and I just didn't notice I grabbed the extra strength formula ones when I purchased. I also got his daily cleanser with toner in it. I've been using both for roughly two weeks now (14 treatments and would do every other night) and while there were a couple times my skin was very burny/stingy/red, for the most part I felt like I got used to them and I had exactly what you described in #3- the honeymoon! My skin was so clear and soft and make-up went on so flawlessly after like 3 treatments! Anyway, flash forward to today, just went to buy another 14 day pack but went down a notch to the universal formula (instead of extra strength), and last night when I did the treatment my skin REALLY burned. Like all day it's been more red and my cheekbones and eye areas feel so inflamed, face is very blotchy and I'm breaking out (granted I have my period and haven't been eating as well in the last week). Okay so my actual questions here are these: Do I continue to use these wipes if they did initially make my skin lovelier, and hope that I just need to give more time (1-2 months) for things to even out? Should I return the new ones I got with the indicated weaker formula to sephora and go back to the extra strength I was using, like perhaps my skin had actually gotten used to those? Should I return the current product and go DOWN another notch to the Alpha Beta Ultra-Gentle daily peel wipes for Sensitive Skin, or will that be too much change regardless of formula strength? 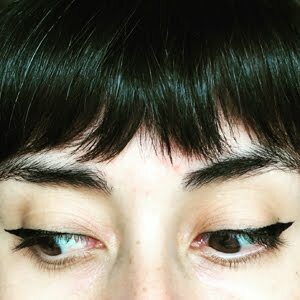 LASTLY, is it normal for eye areas to be so affected by products like these even if I am not applying directly to the eye area but maybe just in too close proximity to the skin all around my eyes? Some dryness is normal. Certain parts of the face can be more sensitive than others (around the mouth, the folds of the nose, eyes etc), so you can avoid applying it in those places. Make sure you're using a good moisturizer after applying, and if the dryness is particularly bothersome in certain places, you can always apply the moisturizer first in those areas as a buffer. If there's a lot of dryness, redness, and irritation, the exfoliant is probably too strong for you.